I have been planning to visit Todd English Food Hall for the longest time but for some reason, the people I’m with are not game or something happens hence having to change plans. But my favorite Dragon Lady wanted to visit it too before 2014 ended so, it finally happened! Hello, Todd English Food Hall. It’s pretty dark inside giving it a bit of classy and intimate vibe despite the food hall set up. But we didn’t really care as we were famished. After 5 minutes or so, we decided to get T.E. 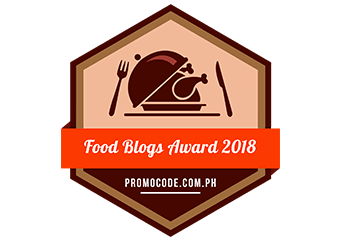 Pork Chop (PHP440), Charred Octopus (PHP380), and Home-Cured Bacon (PHP450). We also ordered rice to share since we were advised that the bacon’s taste might be a bit too overwhelming. The 48-hour brined pork chop arrived first and the size was pretty generous. 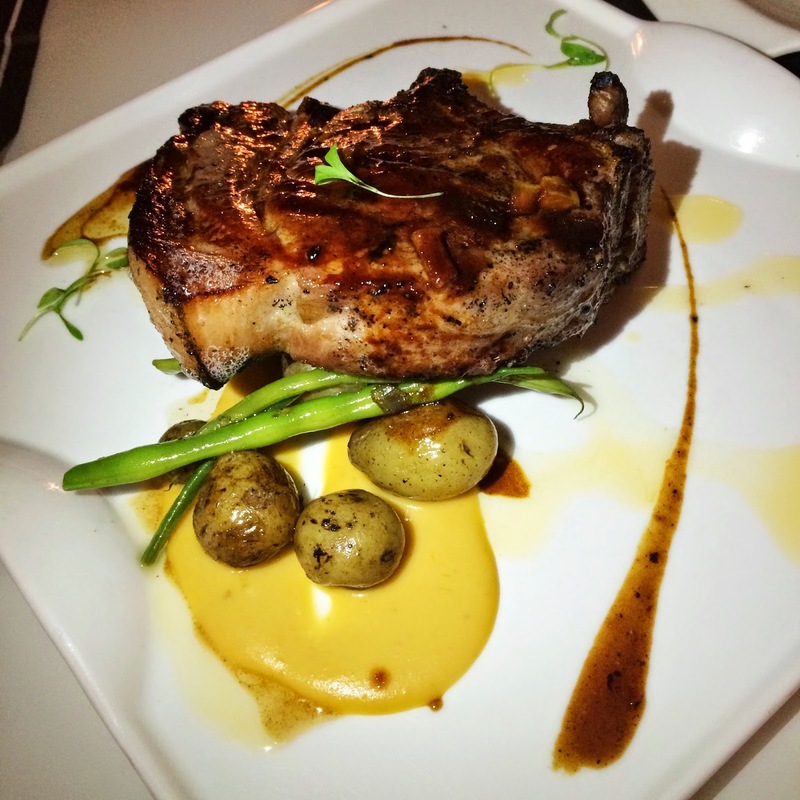 We were surprised with how soft the pork chop was and it was really flavorful. It went really well with the marbled potatoes and the French beans and demi-glace sauce. The Home-Cured Bacon was heaven served on a plate. Just like the pork chop, it was soft and flavorful. It had a sweet and salty taste that made me crave for rice. 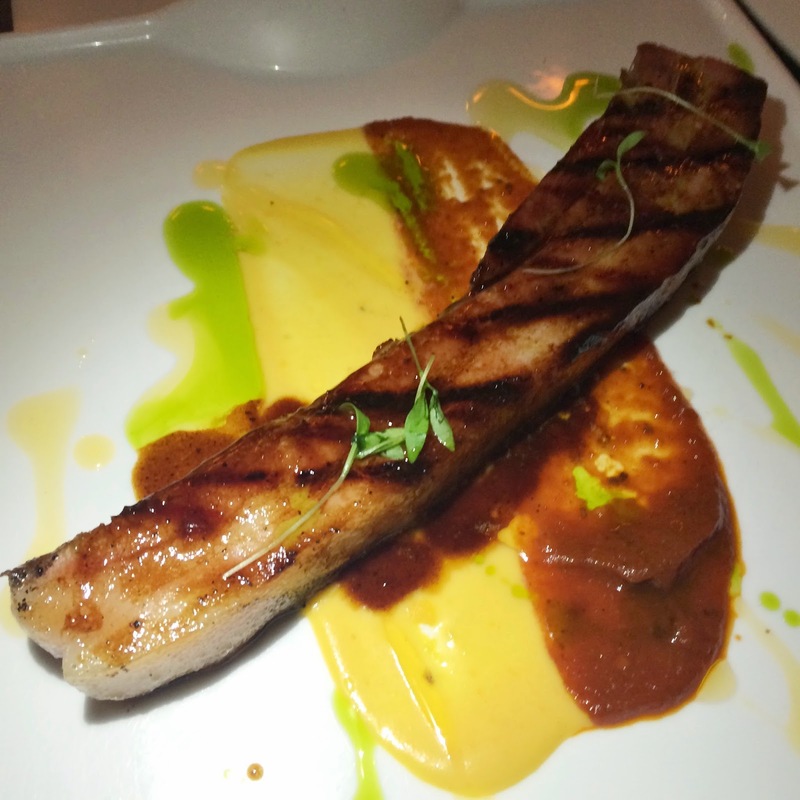 I also loved the squash puree and tomato jam which served as the bacon’s bed. 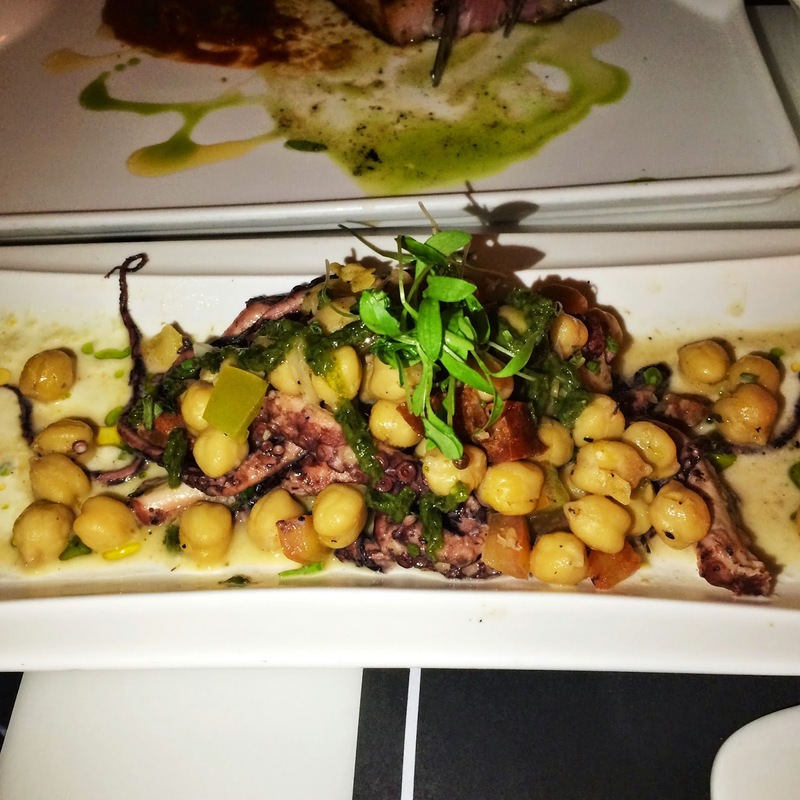 The charred octopus was my least favorite for some reason. I guess it was because the chickpeas made my throat itchy. It had an interesting texture though as it had the mushiness (and slight roughness) of chickpeas, chewiness of the octopus and bit of crunch from the veggies. 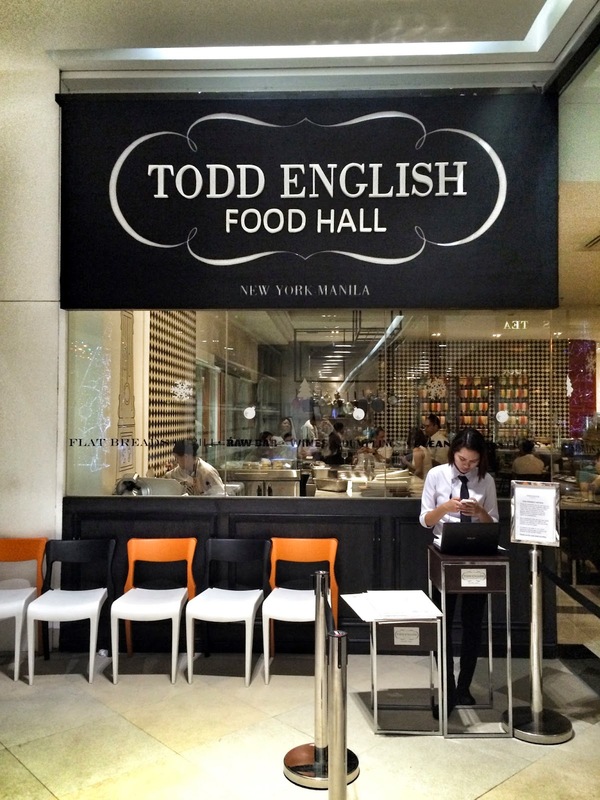 Todd English is located at 5th Floor, SM Aura Premier, Fort Bonifacio, Taguig City.